The inalienable right to life and liberty. So simply stated in the Declaration of Independence, the Constitution, and the Bill of Rights, would be guaranteed to desperately impoverished Californians by proposed amendments to multiple statutes if the “Homeless Person’s Bill of Rights and Fairness Act”, Assembly Bill 5, is adopted. Who would have thought in California that a statute would be needed to open public places, public parking lots, sidewalks, parks and streets to permit people to move, use, and innocently rest without being subjected to local criminal ordinances and police harassment? Who would have thought that Cities would make it a crime to give or share food in a public place with a poor person, and that a State Statute would be necessary to protect your right to feed a needy neighbor. But in the second decade of the 21st Century, that is exactly what Cities like San Luis Obispo have triggered Assembly member Tom Ammiano propose. His Assembly Bill 5 would supersede local ordinances like those adopted by San Luis Obispo, and many other California Cities, that target the poor forced to shelter under bridges and in their vehicles. Simple things are proposed in the Act to keep local governments from targeting poor people, guaranteeing the right to use public restrooms and public showers at all times, the right to occupy, rest and use a vehicle that is legally parked, the right of the individual to decide whether or not to enter a public or private shelters, and the right to vote and to enroll children in public schools. Ammiano’s proposed AB 5 clarifies that no homeless person may be denied equal access to benefits administered or funded by any agency that receives financial assistance from the state. And finally, his Bill proposes state funding of community compliance, and of community construction/acquisition of housing to raise the “quality of life” of the poorest among us. Assembly Bill 5 may benefit from some minor amendments in committee, but it is a comprehensive way to return California to being a leader in human rights for all. Ammiano deserves support to get AB 5 passed, and signed by the Governor. 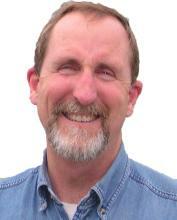 Stew Jenkins is a San Luis Obispo based attorney known for his civil rights cases. I will direct a few poor folks to your place behind the high school Esq Jenkins. I think you will not mind a few dogs running on your lawn and if your back gate can be the crapper right? I am also glad that you will support people bringing dogs back on the beach because those rights are so much more important than the non endangers snowy plover. And I am sure you will allow folks to camp again on the ocean front along hwy 1 up towards big sur like in years past without being hassled or ticketed. The Government is the only one prohibiting so many of our freedoms today. In New York during hurricane Sandy Bloomberg actually shut down some kitchens and restaurants because there were not city inspectors available? Defies logic if you ask me. It seems like so many on the left want to restrict freedoms like speech and right to bear arms and increase freedoms for some groups to trample others life, liberty, and the pursuit of happiness. Jenkins is just like Jared Molski – follow the money. Find the loopholes, make unreasonable demands, and cash in big. It’s just a profitable chess game on both sides. I’m sure Jenkins and the city’s attorneys get along just fine at cocktail parties.